TikTok is a perfect time-waster, but between its rapidly shifting culture and insider memes, it's also a difficult app for newcomers to navigate. Much like YouTube and Twitch, TikTok opens onto a page recommending some of the most popular hashtags and creators. The app is filled with people — mostly teenagers — recording themselves dancing to popular songs and editing their videos to often hilarious effect. There are more than 500 million people using the app, and new personalities and trends pop up every day. The homepage isn't a bad place to start your TikTok journey, but it's hardly where the fun in TikTok lies. TikTok is filled with communities that are built around specific niches, like gaming and comedy. If you find the ones that you like, you're going to have a much better time. Here's your guide to exploring. To understand TikTok, you have to know the slang. Here are a few basic terms that will come up again and again. Cringe: Cringe videos defined TikTok for a period. Cringe videos typically refer to someone acting awkward or in an embarrassing fashion while attempting to perform sincerely. For a while, YouTube creators would take the cringiest videos and build reaction videos around them. Now, however, people have embraced the fun of making cringe-inducing content and duets. Challenges: TikTok thrives on challenges. For challenges, many TikTok users will all make videos attempting to do the same thing, like the stair step challenge, where they would dance up a set of stairs in elaborate ways. These are often community-created trends, though they can take the form of sponsored hashtags, too. Challenges are an easy way for people on TikTok to feel like they're part of the community. TikTok is an eclectic world. There are gamers, furries, dancers, comedians, athletes, singers, actors, influencers, and run-of-the-mill kids whoa are obsessed with memes. It's hard to navigate, but a good start is jumping into challenges and hashtags to find TikTokers you're drawn to. Most of the categories are pretty self-explanatory; for example, gamers and athletes display choreographed dances and memes that relate to those interests. You may come across terms, however, that are more confusing. Eboy or egirl, for example, refer to popular creators on TikTok who embody an Extremely Online persona. Think grunge and punk aesthetics meets anime and SoundCloud rap-loving Gen Z kids. Here's an example from Jacob Sartorius, who was one of the first big stars on Musical.ly, the app that preceded TikTok. TikTok is home to constantly changing memes, much like Vine once was. Know Your Meme has an extensive database of the most popular memes that have blown up on the platform in recent months. It's a good place to start digging if you want to get a better idea of what TikTok culture is like. It's also a good place to try to spot creators you may be interested in following more closely. Influencers and creators are the heart of any social platform. They're what sustain YouTube, Instagram, and now TikTok. Collaborations between creators are also integral to the creator experience. Following some of the app's more popular creators is one way to get an idea of what else is out there. The first thing TikTok serves to users is its "For You" page, which acts as a homepage. People can scroll down and browse through TikTok's most viral submissions as curated by the company. 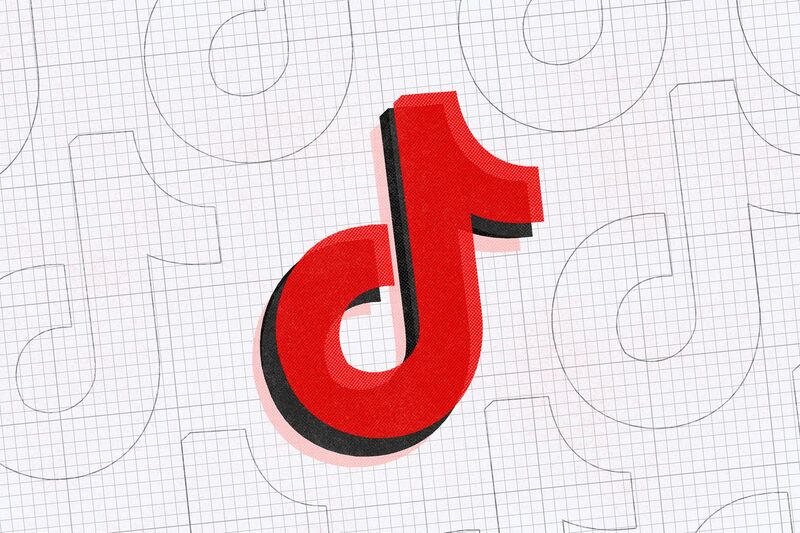 It's the best place for beginners to start if they are trying to get a sense of what TikTok has to offer. But after spending 30 minutes scrolling through, it might be time to cultivate a following that's better suited for you. There are a few simple ways to navigate away from TikTok's "For You" page directly and find content related to whatever video caught your attention. Since many of TikTok's memes are tied directly into the song that's playing, searching for a specific song is also a great way to see different interpretations of a challenge or meme. A recent example is "Oh na na na" by Harsha Patel. His song has been used in more than 78,000 videos, with most centered on one specific dance: the "Foot Dance Challenge." An example can be seen below. This also works for remixed versions of songs, which might have their own specific challenge around them. For example, the "Pretty Boy Swag Challenge" uses Soulja Boy's song, but it's the remixed version of the song with audio warping at the end that's used the most. TikTok practically runs on hashtags. It's what makes the app so fun. Everything is communal, and everyone is encouraged to jump in. Clicking on hashtags, especially those that are generated around challenges, is an easy way to discover what people are using to get to the For You section. Many videos will often include a #ForYou hashtag in an attempt to get placed on the page. Just like any other app, getting to the front page is crucial to landing a viral TikTok video and securing additional followers. Considering TikTok is beginning to look into advertising directly in-app, monetization for TikTokers isn't far off, and using hashtags to game the system is key to securing viewers. Keep in mind, however, that TikTok is just like any other site when it comes to recommending videos for you to watch: it relies on an algorithm. If you watch 20 videos from one specific challenge, the next time you open up the app, For You might be flooded with nothing but specific challenge videos. Much like on YouTube, you don't have to be logged in or have an account for TikTok to track what you're watching. TikTok tends to group together a bunch of related videos, then recommend those to specific users who it thinks will enjoy them. This is helpful when it comes to exploring niches. Users who are especially interested in watching Naruto memes and videos will probably be served content from a specific community of creators. This also means it's easy to get stuck in a bubble and not see what the rest of the community is doing. "TikTok will quickly adapt to your taste to offer the most relevant, interesting, fun, quirky, head-turning videos that you'll never want to stop watching," a description on TikTok's iOS page reads. The way to get around the algorithm and ensure you're seeing an eclectic assortment of content is to treat TikTok like Instagram, not YouTube. Don't just rely on the front page for trending videos. Instead, spend a few minutes exploring different hashtags, featured creators, and even viral songs. TikTok has a search and explore page, like Instagram, that can be accessed at the bottom of the screen. The section is curated by TikTok staffers, and it changes every day. There is a section for all of the aforementioned categories, including popular hashtags, featured creators, viral sounds, and challenges. Spending time browsing these topics will help you balance out what the algorithm wants to serve you. TikTok accounts are automatically set to public when people first sign up for the app. Fortunately, TikTok makes it relatively easy to make your account private if you don't want all of your videos to be publicly available. Switching to private will still allow people to see your username if they search for it, but they'll have to request to follow you in order to see your videos as well as like and leave comments on them. Making your account private is a good way to ensure that only your friends are able to view what you're posting, but it also removes some of the core features that make TikTok special. People with private accounts can't perform duets, for example, so it may limit their participation on the app. For people who just want to watch TikTok videos and not actually contribute, this won't be as big of a deal. Push notifications can be a bit of a drag, and this is extremely true for TikTok. I get numerous push notifications throughout the day that have nothing to do with my account or the people I'm following. Instead, they're irrelevant notifications that are designed to get you to open the app. They're annoying. If you don't use the app for a period of time, TikTok will send some desperate messages proclaiming how much you're missed and saying how long it's been since you opened the app. Push notifications can be disabled, though. If you're someone who uses the app once a day or once a week, you don't need the app's push notifications to pull you back in. Just turn them off or don't enable them in the first place. The best way to understand and learn TikTok is to explore it and find what works for you. Whether it's trying to memorize the best hand dances that people are coming up with or trying to come up with a clever setup for a duet joke that another TikTok user can jump in on, there's probably something that caters to your interests. Once you open up TikTok, it's easy to find a niche that keeps you entertained.